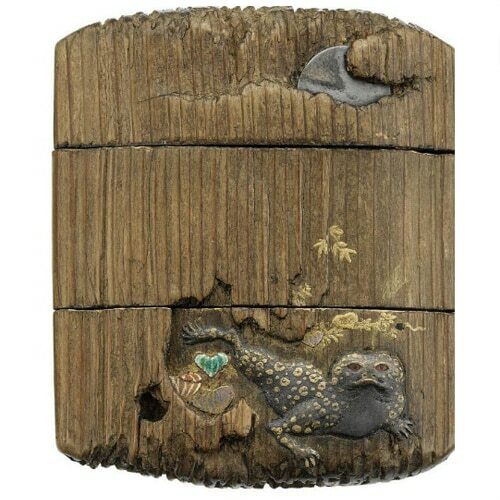 An inro is a small (10 x 5 x 2 cm approx.,) Japanese, compartmentalized case used carry small items. They are beautifully enhanced by lacquer, inlaid metal, mother-of-pearl, intricate carvings and other decorative techniques and are composed most commonly of wood, ivory, tortoise and metal. Inro are suspended from a cord and hung from the obi sash on a kimono. Two Case Inro with Silver and Ceramic Inlay, c. 18th Century. Photo Courtesy of Christie’s.